FIFA World Cup 2018 Group Stage draw been finalized and we have our final 8 groups with 4 teams each. Every team will play one game against the other three teams in the group and top two will qualify for the first knockout stage. 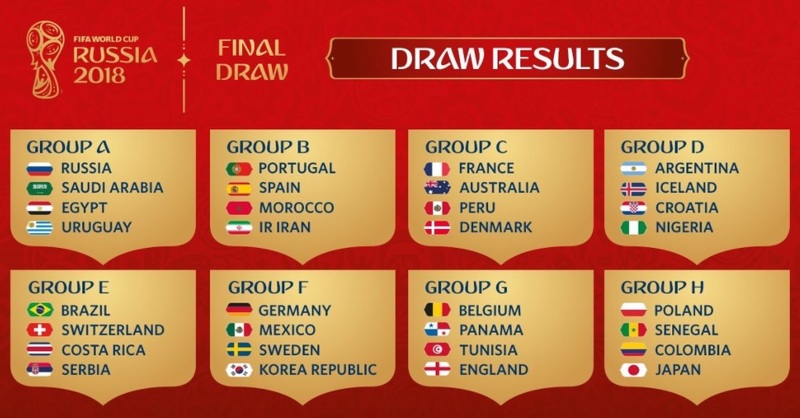 Below is the entire breakdown of the 2018 World Cup group stage draw. We will also have full match scheduled updated right here on this page. 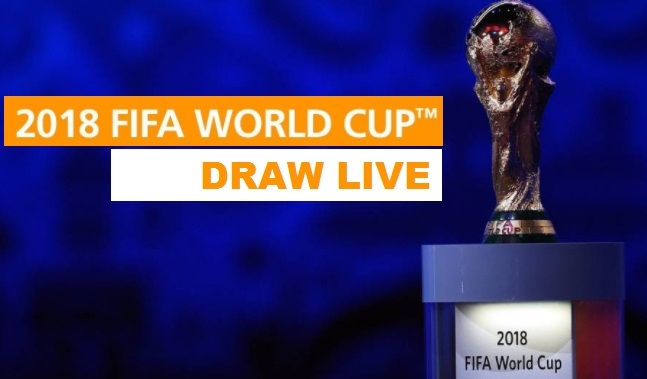 Seedings & Draw Explained: There are 8 top seeding teams going into the world cup draw include the home nation Russia, Germany (defending champions), France, Poland, Portugal (euro champions), Belgium, Argentina and Brazil. while the rest will be put in 3 different pots making it 8 teams in four pots. October 2017 FIFA/Coca-Cola World Ranking were used to draw up the seeding pots. 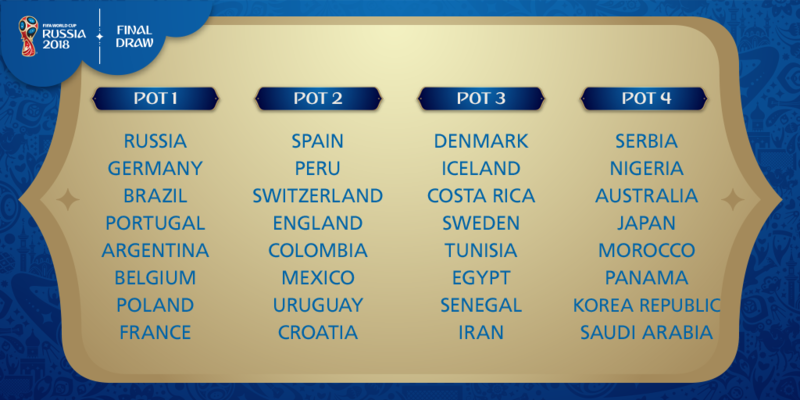 Below is the official pots for the 2018 FIFA World Cup draw. So the groups will be drawn according to the seeding pots. Teams from pot will be Team 1 in the group, team from Pot 2 will be Team 2 in the group and so on. 8 groups will be drawn with 4 teams each. Once the groups are confirmed we will have every group updated right here on this page. The draw will be hosted by former English striker Gary Lineker while there will be 8 different former legends to assist in the draw proceedings including Diego Maradona, Fabio Canavaro, Diego Forlan, Gordon Banks, Nikita Simonyan, Carlos Puyol and Carles Puyol etc. Knockout Stages Draw ? : There won’t be any knockout stage draw as it will be a bracket system where once the groups are confirmed we can pretty much make up who will face whom. Group A winners vs Group B Runners-up, Group B Winners vs Group A Runners-up and so on. The schedule for the 2018 FIFA World Cup is already announced and we will update the entire schedule of the World Cup after the groups are announced.